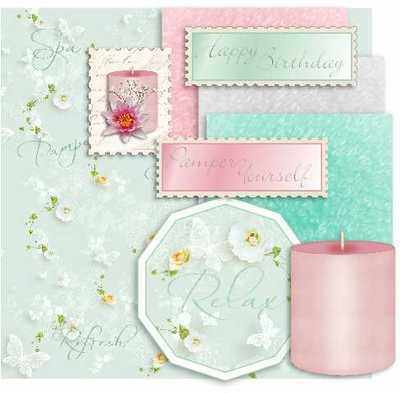 A pretty topper kit with background paper (12 x 12cm) in pastel green with butterflies, flowers and script, Spa, Relax, Refresh, Restore. 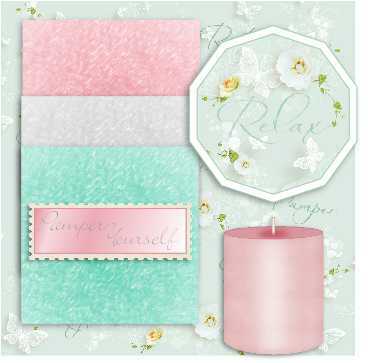 Three pastel towelling papers (8 x 8cm), a candle, a stamp with candle, flowers and script background, two sentiment labels, 'Happy Birthday' and 'Pamper Yourself' and a 10-sided shape with 'Relax' text. 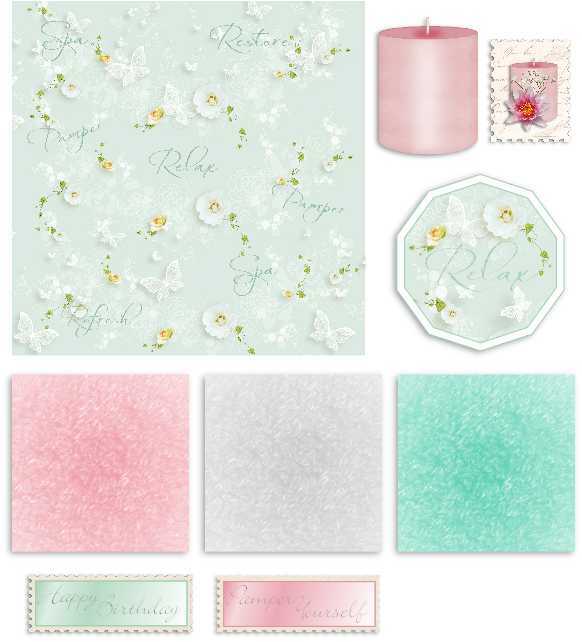 Also included is an A4 jpg cutting sheet (below) with all the elements on, so that you can, if you wish, print the whole lot at once, cut them up and arrange them, then 3D the separate parts with foam pads. As with all the digis here, these are for your personal use, and selling your finished items. 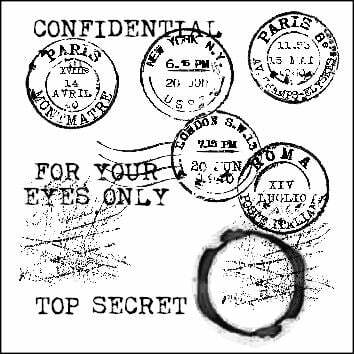 Not for resale as either straight printouts or digital items. 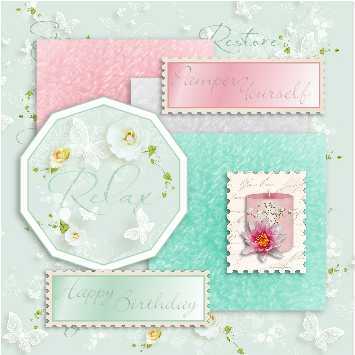 This will be emailed to you and your postage will be refunded if you are not having items sent out.